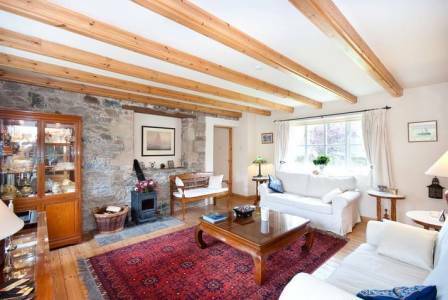 A delightful property set in the heart of the Scottish Borders, Townhead Steading is a beautifully presented house with two attached self contained cottages on sale through our Kelso office. Situated in the picturesque small conservation village of Minto, lovers of golf and all outdoor pursuits will be impressed at the location which nestles in the Scottish Borders close to Denholm and looking out to Ruberslaw Hill. The property itself is in immaculate condition, with natural wood floors and doors used throughout together with glass paned doors opening out to the walled garden from the reception rooms. The interior has been designed and finished to the highest design standard combining modern insulation and services with the character of a traditional building. Several of the ground floor rooms also feature exposed beams and the dining room has a superb vaulted ceiling. In total there are four bedrooms in the main house, one of which is en-suite. All of the bedrooms are designed to an exceptionally high standard and would provide a tranquil setting for owners as well as guests to rest at the end of a long day. The two adjoining cottages are also decorated to a similarly high specification and are currently used for holiday letting a business that could continue under any new owner, providing the additional benefit of a stream of income from the property. Alternatively, the accommodation could be used as a "granny annexe" or secondary space for family members. Outside, the former cart shed provides extensive garaging and workshop space as well as potential for further conversion and there is generous car parking. The grounds are understood to extend to just under an acre and include a delightful walled garden, extensive lawns with established trees and shrubs and a shingle drive leading to the property through five bar gates. Minto itself is a peaceful hamlet, with a great community spirit, but is still very accessible to the A7 and the A68 which offers ready access to Edinburgh and Newcastle international airports. The nearby award-winning 18 hole Minto golf course and club has a beautiful setting and attracts both local golfers as well as visitors from further afield. Beyond Minto is Denholm, which is just over a mile away and has a number of pubs and restaurants as well as shops and a local primary school. 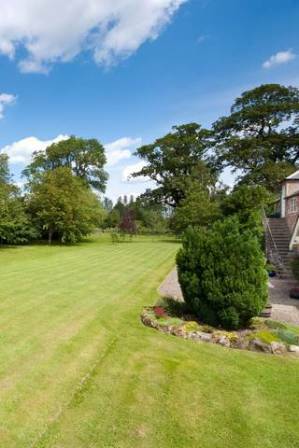 All of this is surrounded by glorious countryside, which makes Townhead Steading ideal for those who enjoy country pursuits including horse riding, walking, fishing and cycling. 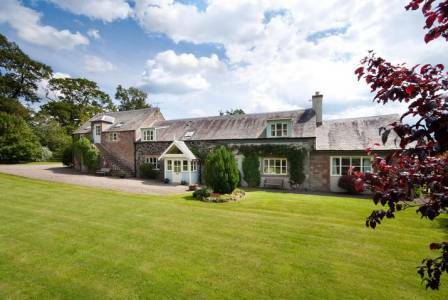 Townhead Steading is on the market at offers in the region of 475,000 (home report valuation of 510,000 (May 2012). Find out more about this property.